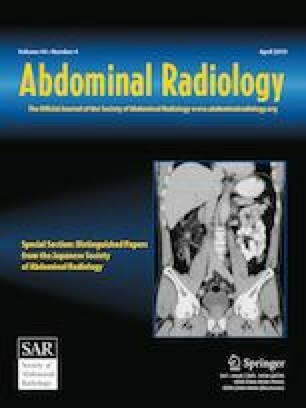 The objectives of this study was to assess the performance of ultrasound (US) for suspected appendicitis in adult patients and to evaluated the additive value of short-interval (within 1 week) computed tomography (CT) or Magnetic Resonance Imaging (MRI) after performing an initial US. In this IRB-approved, HIPAA-compliant, retrospective study, electronic medical records (EMRs) were queried for “US appendicitis” performed over a 2-year interval. EMR was reviewed for CT or MRI performed within 1 week of this exam, and if any new or additional information was available at subsequent exam. White count, patient disposition, and pathology, if surgery was performed, were also recorded. 682 patients underwent US for appendicitis over a 2-year duration, age range from 18 to 92 years (average: 30.1 years, M:F = 141:541). Findings showed 126/682 patients with normal appendix, 75/682 uncomplicated appendicitis, and 4/682 with complicated appendicitis. When performed, no additional findings were seen in these groups on short-interval CT or MRI. 2/682 patients had equivocal findings on US but eventually had normal appendix identified on CT. Four hundred and seventy-three patients had non-visualized appendix, of which only 14/473 (3.1%) eventually had appendicitis. Ultrasound is an effective initial modality for evaluating appendicitis even in adult patients. Once a normal appendix, uncomplicated or complicated appendicitis is identified on US, no further imaging is necessary. Very few patients with non-visualization of the appendix eventually have appendicitis. Hence, these patients can be managed with active clinical follow-up rather than immediate CT or MRI. Symptoms and clinical scoring systems can be used for triage of these patients. Alzahrani, H., et al., Imaging Approach to the Diagnosis of Acute Appendicitis in a Group of Teaching Hospitals With 24/7 In-house Availability of Ultrasound Technologist: Effect of Timing of Request on Imaging Modality. Can Assoc Radiol J, 2018. Aug;69(3):311-315. https://doi.org/10.1016/j.carj.2018.03.002. Epub 2018 Jun 27. Li, J., et al., Effect of Delay to Operation on Outcomes in Patients with Acute Appendicitis: a Systematic Review and Meta-analysis. J Gastrointest Surg, 2018. Jan;23(1):210-223. https://doi.org/10.1007/s11605-018-3866-y. Epub 2018 Jul 6. Pelin, M., et al., Acute appendicitis: Factors associated with inconclusive ultrasound study and the need for additional computed tomography. Diagn Interv Imaging, 2018. Dec;99(12):809-814. https://doi.org/10.1016/j.diii.2018.07.004. Epub 2018 Sep 7.